Over the last five decades, weed management systems have relied primarily on synthetic herbicides. Due to the concerns over the potential impact of chemicals on human health and the environment, efforts are being made to reduce the heavy reliance on synthetic herbicides. To reduce synthetic herbicides, use of natural products such as essential oils, plant extracts, allelochemicals, agricultural by-products, and some microbes are gaining attention because they are safe due to their short environmental half-life and low toxicity. These natural product bioherbicides are a good alternative to synthetic herbicides especially in organic agriculture since they focus on environmental protection, practical viability, compatibility for integrated programs, and ecological stability. Most of the commercially available natural herbicides are non-selective and require careful application in order to preserve the crop of interest. Although many studies in this direction have been undertaken, the use of these natural products is still not common because of the difficulties in their synthesis due to their complex structure, cost effectiveness, poor results in field trials, and rapid degradation. No single above mentioned natural product has the potential to comprehensively replace chemical weed management; however, an integrated approach may provide better results. Thus, the role of bioherbicides in modern weed management is complementary rather than exclusive. 1. Ahluwalia, A.D., 2007. Bioherbicides: an eco-friendly approach to weed management. Curr. Sci. 92:10. 2. Ahn, J.K. and I.M. Chung, 2000. Allelopathic potential of rice hulls on germination and seedling growth of barnyardgrass. Agron. J. 92:1162-1167. 3. Anderson, K.I. and S.G. Hallett, 2004. Herbicidal spectrum and activity of Myrothecium verrucaria. Weed Sci. 52:623-627. 4. Ayuba, V., T. Ojobe, and S. Ayuba, 2011. Phytochemical and proximate composition of Datura innoxia leaf, seed, stem, pod and root. J. Med. Plants Res. 5:2952-2955. 5. Bailey, K.L. and J. Derby, 2010. Fungal isolates and biological control compositions for the control of weeds. Google Patents. 6. Banowetz, G.M., M.D. Azevedo, D.J. Armstrong, A.B. Halgren, and D.I. Mills, 2008. Germination-Arrest Factor (GAF): Biological properties of a novel, naturally-occurring herbicide produced by selected isolates of rhizosphere bacteria. Biol Control 46:380-390. 7. Banuelos, G.S. and B.D. Hanson, 2010. Use of selenium-enriched mustard and canola seed meals as potential bioherbicides and green fertilizer in strawberry production. HortScience 45:1567-1572. 8. Batish, D., S. Kaur, H. Singh, and R. Kohli. 2005. Herbicidal activity of volatile oils from Eucalyptus citriodor. In Second European Allelopathy Symposium” Allelopathy-from understanding to application. P. 29. 9. Batish, D.R., K. Arora, H.P. Singh, and R.K. Kohli, 2007. Potential utilization of dried powder of Tagetes minuta as a natural herbicide for managing rice weeds. Crop Prot. 26:566-571. 10. Batish, D.R., H.P. Singh, M. Kaur, R.K. Kohli, and S. Singh, 2012. Chemical characterization and phytotoxicity of volatile essential oil from leaves of Anisomeles indica (Lamiaceae). Biochem Syst Ecol. 41:104-109. 11. Bingaman, B.R. and N.E. Christians, 1995. Greenhouse screening of corn gluten meal as a natural control product for broadleaf and grass weeds. HortScience 30:1256-1259. 12. Boydston, R.A., T. Anderson, and S.F. Vaughn, 2008a. Mustard (Sinapis alba) seed meal suppresses weeds in container-grown ornamentals. HortScience 43:800-803. 13. Boydston, R.A., H.P. Collins, and S.F. Vaughn, 2008b. Response of weeds and ornamental plants to potting soil amended with dried distillers grains. HortScience 43:191-195. 14. Boydston, R.A., M.J. Morra, V. Borek, L. Clayton, and S.F. Vaughn, 2011. Onion and weed response to mustard (Sinapis alba) seed meal. Weed Sci. 59:546-552. 15. Boydston, R.A., S.F. Vaughn, C.L. Webber III, and B. Chaves-Cordoba, 2018. Evaluating mustard seed meal for weed suppression in potato (Solanum tuberosum). J Agric Sci. 10:48. 16. Boyette, C.D. and R.E. Hoagland, 2015. Bioherbicidal potential of Xanthomonas campestris for controlling Conyza canadensis. Biocontrol Sci Technol 25:229-237. 17. Boyette, C.D., R.E. Hoagland, and H.K. Abbas, 2007. Evaluation of the bioherbicide Myrothecium verrucaria for weed control in tomato (Lycopersicon esculentum). Biocontrol Sci Technol 17:171-178. 18. Brinkman, M.A., S.A. Clay, and R.J. Kremer, 1999. Influence of deleterious rhizobacteria on leafy spurge (Euphorbia esula) roots. Weed Technol. 13:835-839. 19. Caamal-Maldonado, J.A., J.J. Jiménez-Osornio, A. Torres-Barragán, and A.L. Anaya, 2001. The use of allelopathic legume cover and mulch species for weed control in cropping systems. Agron. J. 93:27-36. 20. Cai, X. and M. Gu, 2016. Bioherbicides in organic horticulture. Horticulturae 2:3. 21. Caldwell, C.J., R.K. Hynes, S.M. Boyetchko, and D.R. Korber, 2012. Colonization and bioherbicidal activity on green foxtail by Pseudomonas fluorescens BRG100 in a pesta formulation. Can J Microbiol 58:1-9. 22. Campiglia, E., R. Mancinelli, A. Cavalieri, and F. Caporali, 2007. Use of essential oils of cinnamon, lavender and peppermint for weed control. Ital. J. Agron. 2:171-178. 23. Charudattan, R. 1990. Pathogens with potential for weed control. In ACS Symposium Series 439 pp.132-154 ref.119. 24. Charudattan, R., 2005. Use of plant pathogens as bioherbicides to manage weeds in horticultural crops. Proc. Fla. State Hort. Soc 118:208-214. 25. Cheema, Z. and A. Khaliq, 2000. Use of sorghum allelopathic properties to control weeds in irrigated wheat in a semi arid region of Punjab. Agric. Ecosyst. Environ. 79:105-112. 26. Cheema, Z., A. Khaliq, and S. Akhtar, 2001. Use of sorgaab (sorghum water extract) as a natural weed inhibitor in spring mungbean. Int. J. Agric. Biol 3:515-518. 27. Chon, S.U., Y.M. Kim, and J.C. Lee, 2003. Herbicidal potential and quantification of causative allelochemicals from several Compositae weeds. Weed Res. 43:444-450. 28. Cimmino, A., A. Andolfi, M.C. Zonno, F. Avolio, A. Santini, A. Tuzi, A. Berestetskyi, M. Vurro, and A. Evidente, 2013. Chenopodolin: a phytotoxic unrearranged ent-pimaradiene diterpene produced by Phoma chenopodicola, a fungal pathogen for Chenopodium album biocontrol. J. Nat. Prod. 76:1291-1297. 29. Copping, L.G. and S.O. Duke, 2007. Natural products that have been used commercially as crop protection agents. Pest Manag Sci 63:524-554. 30. Czarnota, M.A., R.N. Paul, F.E. Dayan, C.I. Nimbal, and L.A. Weston, 2001. Mode of action, localization of production, chemical nature, and activity of sorgoleone: A potent PSII inhibitor in Sorghum spp. root exudates. Weed Technol. 15:813-825. 31. Da Mastro, G., M. Fracchiolla, L. Verdini, and P. Montemurro. 2006. Oregano and its potential use as bioherbicide. Proc. I International Symposium on the Labiatae: Advances in Production, Biotechnology and Utilisation. 723. 32. Dayan, F.E., C.L. Cantrell, and S.O. Duke, 2009. 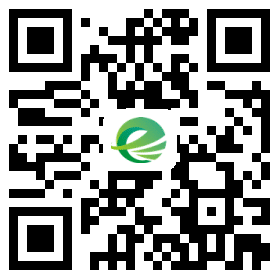 Natural products in crop protection. Bioorganic Med. Chem 17:4022-4034. 33. Dayan, F.E. and S.O. Duke, 2010. Natural products for weed management in organic farming in the USA. Outlook Pest Manag. 21:156-160. 34. Dayan, F.E., J.L. Howell, J.P. Marais, D. Ferreira, and M. Koivunen, 2011. Manuka oil, a natural herbicide with preemergence activity. Weed Sci. 59:464-469. 35. Dhima, K., I. Vasilakoglou, I. Eleftherohorinos, and A. Lithourgidis, 2006. Allelopathic potential of winter cereals and their cover crop mulch effect on grass weed suppression and corn development. Crop Sci. 46:345-352. 36. Dhima, K.V., I. Vasilakoglou, T.D. Gatsis, E. Panou-Philotheou, and I. Eleftherohorinos, 2009. Effects of aromatic plants incorporated as green manure on weed and maize development. Field Crops Res. 110:235-241. 37. Dudai, N., A. Poljakoff-Mayber, A. Mayer, E. Putievsky, and H. Lerner, 1999. Essential oils as allelochemicals and their potential use as bioherbicides. J. Chem. Ecol. 25:1079-1089. 38. Duke, S.O., F.E. Dayan, A.M. Rimando, K.K. Schrader, G. Aliotta, A. Oliva, and J.G. Romagni, 2002. Chemicals from nature for weed management. Weed Sci. 50:138-151. 39. Einhellig, F.A. and G.R. Leather, 1988. Potentials for exploiting allelopathy to enhance crop production. J. Chem. Ecol. 14:1829-1844. 40. Erasto, P. and A.M. Viljoen, 2008. Limonene-A review: Biosynthetic, ecological and pharmacological relevance. Nat Prod Commun 3:1193-1202. 41. Farooq, M., K. Jabran, Z.A. Cheema, A. Wahid, and K.H. Siddique, 2011. The role of allelopathy in agricultural pest management. Pest Manag Sci 67:493-506. 42. Ghanizadeh, H., S. Lorzadeh, and N. Aryannia, 2014. Effect of weed interference on Zea mays: growth analysis. Weed Biol. Manag. 14:133-137. 43. Handiseni, M., J. Brown, R. Zemetra, and M. Mazzola, 2011. Herbicidal activity of Brassicaceae seed meal on wild oat (Avena fatua), Italian ryegrass (Lolium multiflorum), redroot pigweed (Amaranthus retroflexus), and prickly lettuce (Lactuca serriola). Weed Technol. 25:127-134. 44. Hansson, D., M.J. Morra, V. Borek, A.J. Snyder, J.L. Johnson-Maynard, and D.C. Thill, 2008. Ionic thiocyanate (SCN−) production, fate, and phytotoxicity in soil amended with Brassicaceae seed meals. J. Agric. Food Chem. 56:3912-3917. 45. Harding, D.P. and M.N. Raizada, 2015. Controlling weeds with fungi, bacteria and viruses: A review. Front Plant Sci. 6:659. 46. Hazrati, H., M.J. Saharkhiz, M. Niakousari, and M. Moein, 2017. Natural herbicide activity of Satureja hortensis L. essential oil nanoemulsion on the seed germination and morphophysiological features of two important weed species. Ecotoxicol Environ Saf. 142:423-430. 47. Héraux, F.M.G., S.G. Hallett, K.G. Ragothama, and S.C. Weller, 2005. Composted chicken manure as a medium for the production and delivery of Trichoderma virens for weed control. HortScience 40:1394-1397. 48. Hopen, H., F. Caruso, and T. Bewick. 1996. Control of dodder in cranberry Vaccinium macrocarpon with a pathogen-based bioherbicide. In VI International Symposium on Vaccinium Culture. P. 446. 49. Imaizumi, S., T. Nishino, K. Miyabe, T. Fujimori, and M. Yamada, 1997. Biological control of annual bluegrass (Poa annua L.) with a Japanese Isolate of Xanthomonas campestris pv. poae (JT-P482). Biol Control 8:7-14. 50. Intanon, S., A.G. Hulting, and C.A. Mallory-Smith, 2015. Field evaluation of meadowfoam (Limnanthes alba) seed meal for weed management. Weed Sci. 63:302-311. 51. Jabran, K., G. Mahajan, V. Sardana, and B.S. Chauhan, 2015. Allelopathy for weed control in agricultural systems. Crop Prot. 72:57-65. 52. Jamil, M., Z.A. Cheema, M.N. Mushtaq, M. Farooq, and M.A. Cheema, 2009. Alternative control of wild oat and canary grass in wheat fields by allelopathic plant water extracts. Agron Sustain Dev. 29:475-482. 53. Johnson, D.R., D.L. Wyse, and K.J. Jones, 1996. Controlling weeds with phytopathogenic bacteria. Weed Technol. 10:621-624. 54. Jones, R. and J.G. Hancock, 1990. Soilborne fungi for biological control of weeds. ACS Symposium Series 439:276-286. 55. Kadir, J. and R. Charudattan, 2000. Dactylaria higginsii, a fungal bioherbicide agent for purple nutsedge (Cyperus rotundus). Biol Control 17:113-124. 56. Khan, M.A., I. Hussain, and E.A. Khan, 2008. Suppressing effects of Eucalyptus camaldulensis L. on germination and seedling growth of six weeds. J Weed Sci Res 14:201-207. 57. Khanh, D., N. Huu Hong, T. Dang Xuan, and I. Min Chung, 2005. Paddy weed control by medicinal and leguminous plants from Southeast Asia. Crop Prot. 24:421-431. 58. Kirkegaard, J. and M. Sarwar, 1998. Biofumigation potential of brassicas. Plant Soil 201:71-89. 59. Kremer, R.J., 2005. The role of bioherbicides in weed management. Biopest. Inter. 1:127-141. 60. Lee, H.-B., J.-C. Kim, K.-S. Hong, and C.-J. Kim, 2008. Evaluation of a fungal strain, Myrothecium roridum F0252, as a bioherbicide agent. Plant Pathol. J 24:453-460. 61. Liu, D.L.-Y., N.E. Christians, and J.T. Garbutt, 1994. Herbicidal activity of hydrolyzed corn gluten meal on three grass species under controlled environments. J. Plant Growth Regul. 13:221-226. 62. Liu, D.L. and N.E. Christians, 1997. Inhibitory activity of corn gluten hydrolysate on monocotyledonous and dicotyledonous species. HortScience 32:243-245. 63. Ma, H.J., D.H. Shin, I.J. Lee, J.C. Koh, S.K. Park, and K.U. Kim, 2006. Allelopathic potential of K21, selected as a promising allelopathic rice. Weed Biol. Manag. 6:189-196. 64. Mao, L., G. Henderson, and R.A. Laine, 2004. Germination of various weed species in response to vetiver oil and nootkatone. Weed Technol. 18:263-267. 65. Matthiessen, J.N. and J.A. Kirkegaard, 2006. Biofumigation and enhanced biodegradation: opportunity and challenge in soilborne pest and disease management. Crit Rev Plant Sci. 25:235-265. 66. McDade, M.C. and N.E. Christians, 2000. Corn gluten meal—a natural preemergence herbicide: Effect on vegetable seedling survival and weed cover. Am. J. Altern, Agric 15:189-191. 67. Morra, M. and J. Kirkegaard, 2002. Isothiocyanate release from soil-incorporated Brassica tissues. Soil Biol. Biochem. 34:1683-1690. 68. Mukhopadhyay, M., 2000. Natural extracts using supercritical carbon dioxide. CRC press. 69. Mutlu, S., O. Atici, and N. Esim, 2010. Bioherbicidal effects of essential oils of Nepeta meyeri Benth. on weed spp. Allelopathy J 26:291-300. 70. Naik, S. and R. Prasad, 2006. Pesticide residue in organic and conventional food-risk analysis. Chem Health Saf 13:12-19. 71. Nekonam, M.S., J. Razmjoo, H. Kraimmojeni, B. Sharifnabi, H. Amini, and F. Bahrami, 2014. Assessment of some medicinal plants for their allelopathic potential against redroot pigweed (Amaranthus retroflexus). J Plant Prot Res 54:90-95. 72. Nekonam, M.S., J. Razmjoo, B. Sharifnabi, and H. Karimmojeni, 2013. Assessment of allelopathic plants for their herbicidal potential against field bindweed (‘Convolvulus arvensis’). Aust J Crop Sci 7:1654. 73. Nonnecke, G.R. and N.E. Christians. 1992. Evaluation of corn gluten meal as a natural, weed control product in strawberry. In II International Strawberry Symposium. P 348. 74. Norman, M.A., K.D. Patten, and S. Gurusiddaiah, 1994. Evaluation of a phytotoxin (s) from Pseudomonas syringae for weed control in cranberries. HortScience 29:1475-1477. 75. Oerke, E.C., 2006. Crop losses to pests. J Agric Sci. 144:31-43. 76. Onen, H., Z. Ozer, and I. Telci, 2002. Bioherbicidal effects of some plant essential oils on different weed species. Journal of Plant Diseases and Protection Sonderheft 18:597-606. 77. Ortiz-Ribbing, L.M., K.R. Glassman, G.K. Roskamp, and S.G. Hallett, 2011. Performance of two bioherbicide fungi for waterhemp and pigweed control in pumpkin and soybean. Plant Dis 95:469-477. 78. Phatak, S.C., D.R. Sumner, H.D. Wells, D.K. Bell, and N.C. Glaze, 1983. Biological control of yellow nutsedge with the indigenous rust fungus Puccinia canaliculata. Science 219:1446-1447. 79. Putnam, A.R., 1979. Use of allelopathic cover crops to inhibit weeds. Science 36:580-582. 80. Putnam, A.R. and W.B. Duke, 1974. Biological suppression of weeds: Evidence for allelopathy in accessions of cucumber. Science 185:370-372. 81. Ramezani, S., M.J. Saharkhiz, F. Ramezani, and M.H. Fotokian, 2008. Use of essential oils as bioherbicides. J Essent Oil Bear Pl 11:319-327. 82. Rassaeifar, M., N. Hosseini, N.H.H. Asl, P. Zandi, and A.M. Aghdam, 2013. Allelopathic effect of eucalyptus globulus’ essential oil on seed germination and seedling establishment of Amaranthus blitoides and Cyndon dactylon. Trakia J. Sci. 11:73-81. 83. Rice, A., J. Johnson-Maynard, D. Thill, and M. Morra, 2007. Vegetable crop emergence and weed control following amendment with different Brassicaceae seed meals. Renew. Agr. Food Syst. 22:204-212. 84. Rice, E.L., 1974. Allelopathy. Academic, New York. 85. Rothlisberger, K.L., F.M. Hons, T.J. Gentry, and S.A. Senseman, 2012. Oilseed meal effects on the emergence and survival of crop and weed species. Appl Environ Soil Sci. 2012. 86. Sang, J., I. Minchinton, P. Johnstone, and R. Truscott, 1984. Glucosinolate profiles in the seed, root and leaf tissue of cabbage, mustard, rapeseed, radish and swede. Can J Plant Sci. 64:77-93. 87. Shabana, Y.M., R. Charudattan, A.H. Abou Tabl, J.P. Morales-Payan, E.N. Rosskopf, and W. Klassen, 2010. Production and application of the bioherbicide agent Dactylaria higginsii on organic solid substrates. Biol Control 54:159-165. 88. Shrestha, A., 2009. Potential of a black walnut (Juglans nigra) extract product (NatureCur®) as a pre-and post-emergence bioherbicide. J Sustain Agr 33:810-822. 89. Shrestha, A., A. Rodriguez, S. Pasakdee, and G. Bañuelos, 2015. Comparative efficacy of white mustard (Sinapis alba L.) and soybean (Glycine max L. Merr.) seed meals as bioherbicides in organic broccoli (Brassica oleracea Var. Botrytis) and spinach (Spinacea oleracea) production. Commun. Soil Sci. Plant 46:33-46. 90. Singh, H., D. Batish, N. Setia, and R. Kohli, 2005. Herbicidal activity of volatile oils from Eucalyptus citriodora against Parthenium hysterophorus. Ann Appl Biol. 146:89-94. 91. Snyder, A., M.J. Morra, J. Johnson-Maynard, and D.C. Thill, 2009. Seed meals from Brassicaceae oilseed crops as soil amendments: influence on carrot growth, microbial biomass nitrogen, and nitrogen mineralization. HortScience 44:354-361. 92. Sunil, K., A. Sayeed, and S. Paras, 2011. Pharmacognostic evaluation and HPTLC fingerprinting of Nicotiana tabacum stem collected from different geographical regions of India. Der. Pharmacia Sinica 2:1-11. 93. Swanton, C.J. and S.F. Weise, 1991. Integrated weed management: the rationale and approach. Weed Technol. 5:657-663. 94. Tsao, R., F.E. Romanchuk, C.J. Peterson, and J.R. Coats, 2002. Plant growth regulatory effect and insecticidal activity of the extracts of the Tree of Heaven (Ailanthus altissima L.). BMC Ecol. 2:1. 95. Tworkoski, T., 2002. Herbicide effects of essential oils. Weed Sci. 50:425-431. 96. Vaughn, S.F., D.E. Palmquist, S.M. Duval, and M.A. Berhow, 2006. Herbicidal activity of glucosinolate-containing seedmeals. Weed Sci. 54:743-748. 97. Walz, E., 1999. Final results of the third biennial national organic farmers’ survey, Santa Cruz, CA: Organic Farming Research Foundation (OFRF).Available online: http:www.ofrf.org/publications/survey/Final. Results.Third.NOF.Survey.pdf (assessed: April 22, 2018). 98. Weidemann, G., D. TeBeest, and G. Templeton, 1992. Fungal plant pathogens used for biological weed control. Arkansas farm research-Arkansas Agricultural Experiment Station (USA). 99. Weston, L.A. and S.O. Duke, 2003. Weed and crop allelopathy. Crit Rev Plant Sci. 22:367-389. 100. White, R.H., A.D. Worsham, and U. Blum, 1989. Allelopathic potential of legume debris and aqueous extracts. Weed Sci. 37:674-679. 101. Yandoc, C.B., R. Charudattan, and D.G. Shilling, 2005. Evaluation of fungal pathogens as biological control agents for cogongrass (Imperata cylindrica). Weed Technol. 19:19-26. 102. Yu, J. and D.W. Morishita, 2014. Response of seven weed species to corn gluten meal and white mustard (Sinapis alba) seed meal rates. Weed Technol. 28:259-265.